The PSG forward has been linked with a sensational return to the Nou Camp in recent days. Neymar left Barcelona in the summer for a world-record £198m fee. However, ever since completing the move, speculation has been rife that the Brazilian was regretting his decision. Earlier this week, reports emerged that Neymar has told PSG of his desire to return to Spain. Spanish outlet Mundo Deportivo claimed the 26-year-old regretted wanting to step out of Messi's shadow. However, the Argentinian has reportedly released information which shoots down the Neymar rumours. According to Don Balon, Messi knows that his former team-mate will not be returning to Barcelona. The publication claims any deal is 'impossible' at present. 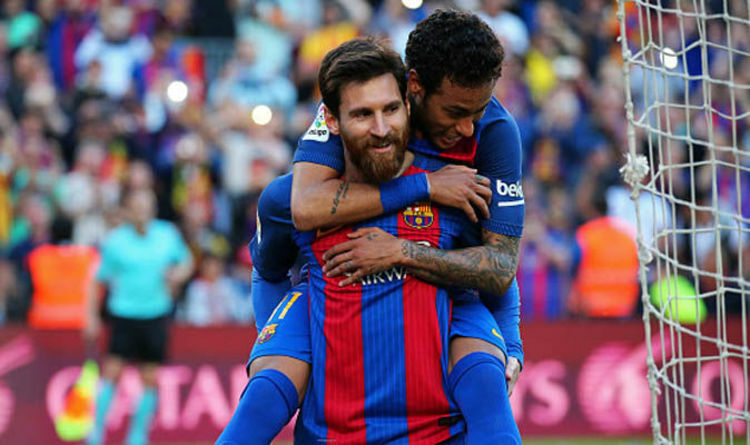 Messi reportedly believes Neymar is still destined to sign for rivals Real Madrid and is only saying he wants a Barcelona return to appease fans who now label him as a traitor. Los Blancos have been heavily linked with a move for the former Santos man. And Zinedine Zidane has even talked Neymar up in public. Speaking earlier this week, the Frenchman said: "Neymar is a very good player. When Madrid bought me for €72m (then £46.6m from Juventus in 2001), it seemed crazy. "Maybe a player will be worth that (€400m) in 10 years or so, or even before that but he'd fit into any team in the world."